Music program giving 120+ youth positive influence instead of looking to gangs, crime, drugs. 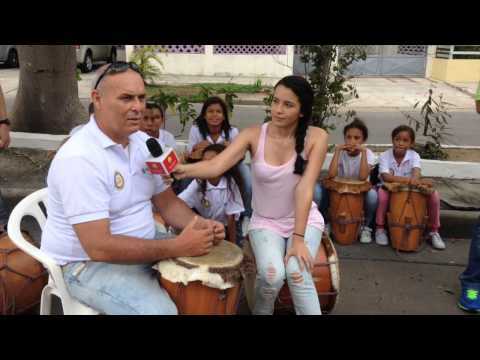 Rotary Club of Barranquilla Centro, Colombia, developed this project and arranges funding. Funding clubs, Rotary Club of South Cowichan, BC, Canada (lead), another BC club and Rotary Club of Cameron Park, with $4,000 each raised $12,000. The South Cowichan Club obtained RF and District funds for a $55,000 total. Other collaborators are Universidad del Norte, music teachers, music shops. Drums are key to traditional folk music and the program includes wind and string instruments as well. Over 1,200 youth have been impacted. This year 120 teenagers from three vulnerable communities are involved. The youth also teach what they have learned and lead small music groups of 5 or so generating income to assist their families. This multiplying expands so 1000 people are touched. This impact reaches into each community making a positive impact on local youth and adults and helping to create a higher level of quality life, personal purpose and worth, as well as peace and understanding.